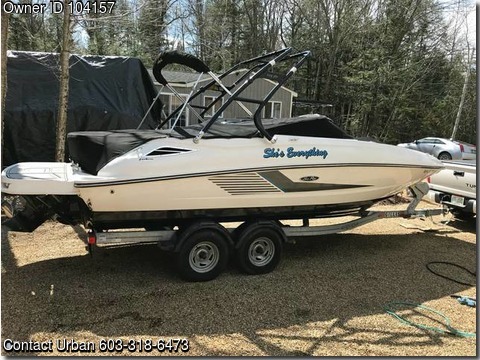 Boat is located in Sanbornton,NH.Please contact the owner @ 603-318-6473..Absolutely gorgeous 2013 Sea Ray Sundeck. Meticulously cared for, one of a kind. Perfect family boat and the added wake tower and 350 engine means you can enjoy all the water sports in addition to cruising the lake. Big enough to handle the chop on the big lake. This boat is a must see!!!!!!! !